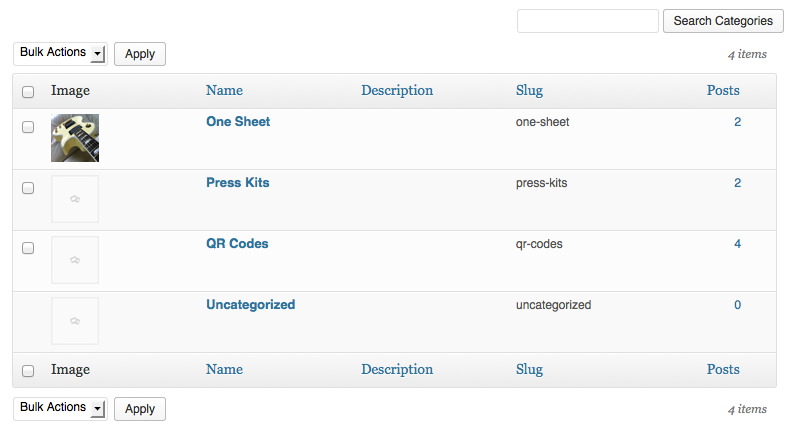 Create and manage Taxonomy Images for the Genesis theme framework. Plugin for WordPress and the Genesis theme framework. Download the current version of Genesis Taxonomy Images (v0.8.1). Downloaded 1,384 times. Enables you to upload and display an image for your taxonomy terms, eg Categories, Tags, or any custom taxonomy term that you may use. The plugin uses the Genesis Term Meta functionality to manage and display your image, for example in the archive description area of your archive pages. Note: this plugin is designed for use with the Genesis theme framework and a Genesis Child Theme. If you're not using Genesis, this plugin won't work for you. Note: You must be using a Genesis child theme with Genesis 2.0+ installed before installing and activating this plugin. Please see the User Guide for code samples.